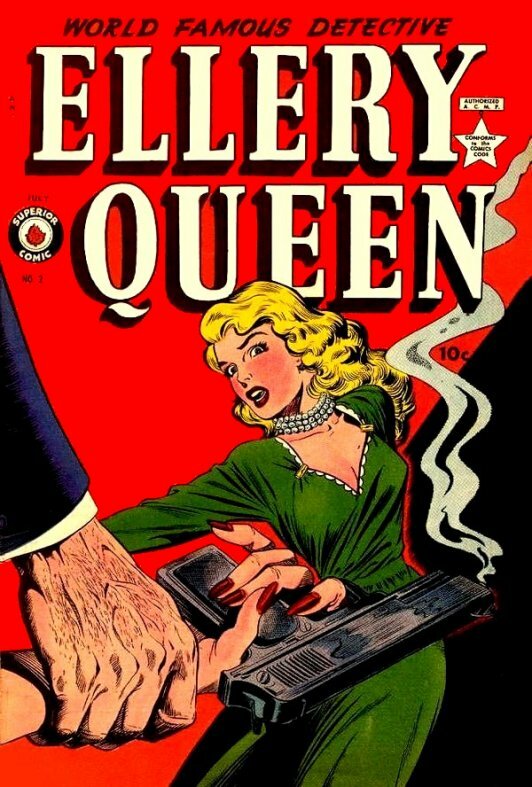 The ellery Queen tv series was done in several varaitions starting in 1950 on Dumont TV. It was broadcast in kinescope so not many exist at this time. Richard Hart was the first to play the famed detective, but in 1950 he died suddenly of a heart attack and Lee Bowman took his place in the lead role. The series started on Dumont from 1950 to '51 and then it was on ABC from 1951 to '52. There were 91 episodes in all. Then in 1954 a syndicated series came about starring Hugh Marlowe as the famed detective. (Marlowe had played Queen on radio earlier.) The series was titled "The Adventures of Ellery Queen" and had an aka of "Mystery is My Business". It ran until 1956 with 32 episodes filmed. Inspector Queen was portrayed by Florenz Ames in both series. Then in 1958-'59 NBC aired "The Further Adventures of Ellery Queen" starring George Nader as Ellery and Les Tremayne as Inspector Queen. After the first season of 20 episodes, Lee Philips took over as Ellery for another 11 epsiodes. From 1975-'76 Jim Hutton was the lead character with David Wayne as Inspector Queen. "The Adventures of Ellery Queen" series aired on NBC, all in color.